So long babe. I'm running out of time. I'll never forget ya. You bless this heart of mine. Homeward bound and you lay sound asleep. Lost and found, these mem-'ries I keep. They're all about a love in September. Burning like the glow of an ember. Yesterday calls like some enchanted star. I reach up to grab, but it's no easy mark. Sweet and low, I land back on my feet. Romeo will have your soul to keep. and baby not too high. you gotta go and let your backbone slide...."
don't you understand, girl, this love is true...."
You wrapped me 'round your itty-bitty finger..."
You got to understand it's you..."
I got something to tell you. Oh, tell me my brother...."
"Take it as it comes girl. Take it on the run girl. The world's at your command, Oh...."
"Do what you wanna do. Tell ya, Who to sock it to. I know it's your thing. 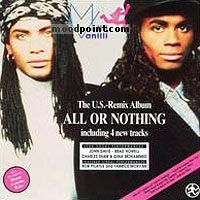 You can do what you like,..."
if you want to see other song lyrics from "All or Nothing" album, click "Vanilli Milli Singer" and search album songs from the artist page. If you know some new information about Dreams To Remember, or other song from our site, that isn’t already on song page, please let us know, Any refinement, news, or comment is appreciated. If information about Dreams To Remember, or any song from moodpoint directory is wrong, please contact us and write where the incorrect data should be replaced by correct data. 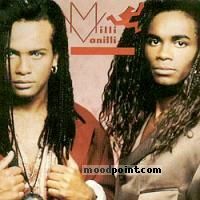 Use "Find Lyrics" box on our site, try to use different artist or (and) song title(ex: Dreams To Remember) word forms.